Pleasant environment and friendly staffsubmitted by Parker B. - Nov 06, 2018 |Recommended: YesHaving an apartment in the very back , everything is pretty private. The walls aren't too thin so you can't hear everything going on in the apartments around you. The staff is friendly and professional. Overall the property is okay.submitted by Destiny J. - Nov 03, 2018 |Recommended: Yesusually quiet until you get crappy neighbors. good for college students and a small family. Wonderfulsubmitted by Noah B. - Nov 01, 2018 |Recommended: YesAwesome place that is close to everything. It clean and close to everything and very quiet. The entire staff is courteous.submitted by Ebony R. - Oct 03, 2018 |Recommended: YesIts excellent. Its close to everything and is clean. I feel safe and they are great about fixing things and following up. Great maintenance and management. Grounds Landscaping and exteriors need attention.submitted by Velma P. - Sep 02, 2018 |Recommended: YesGood place -- overall, ok.
Enjoyable Experiencesubmitted by Tiberlee B. - Aug 27, 2018 |Recommended: YesI have been here going on two years and I must say, it is safe, a close commute to work and conveniently located. The maintenance staff is extremely friendly and the office staff is very knowledgeable and helpful great community. I like how it is a quiet complex, most of the time.submitted by Rebecca W. - Aug 22, 2018 |Recommended: YesI would say that it is nice but the office staff has seen a high turnover lately as well as sometimes maintenance has taken a while and or made a mess and left it. Jeff Zachry's Reviewsubmitted by Jeffrey Z. - Aug 05, 2018 |Recommended: YesStaff Always professional Maintenance Alvin is the Man Groundskeeper, always has the community looking good. My personal opinion, is that maintenance could use some assistance with all work orders and such to keep up. It's a great place to live and typically very quiet.submitted by Justin T. - Jun 29, 2018 |Recommended: YesIt's a very calm community, the neighbors are friendly, the staff is always happy to help. 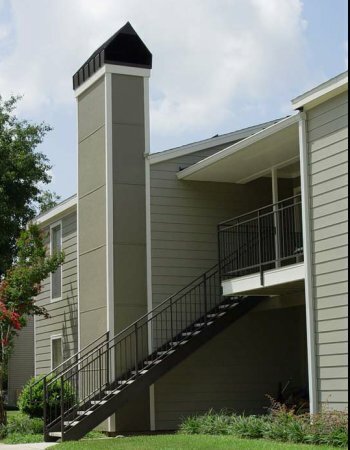 The rent is about what you would expect being next to lsus with appliances that come with the apartment. My only complaint would be that the shrubs next to the units are growing up over the sidewalk. On the other hand they almost look good so I have mixed feelings. Simply amazingsubmitted by Christopher T. - Jun 07, 2018 |Recommended: YesWonderful place to live, staff is always courteous and prompt, fellow renters are polite, the maintenence crew is quick and professional, I'd recommend them to anyone.